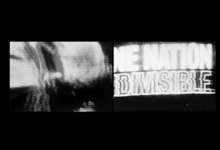 BLACK TV is the title of Tambellini’s best-known videographic film, which is part of a large intermedia project about American television. 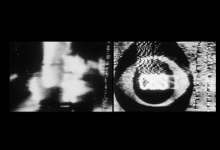 Compiled from filmed television news programs and personal experimental videotapes, BLACK TV has been seen in many versions during the four-year period in which Tambellini constantly re-edited it (1964-68). “Since my interest is in multimedia and mixed-media live events, and in experimental television, I think of film as a material to work with, part of the communications media rather than an end in itself. In the future we will be communicating through electronically transmitted images; Black TV is about the future, the contemporary American, the media, the injustice, the witnessing of events, and the expansion of the senses. The act of communication and the experience is the essential”. As Tambellini’s remarks indicate, BLACK TV is about perception in the intermedia network. It generates a pervasive atmosphere of the process-level perception by which most of us experience the contemporary environment. Since it involves the use of multiple monitors and various levels of video distortions, there is a sense of the massive simultaneity inherent in the nature of electronic media communication. BLACK TV is one of the first aesthetic statements of the subject of the intermedia network as nature, possibility the only such statement in a film form.